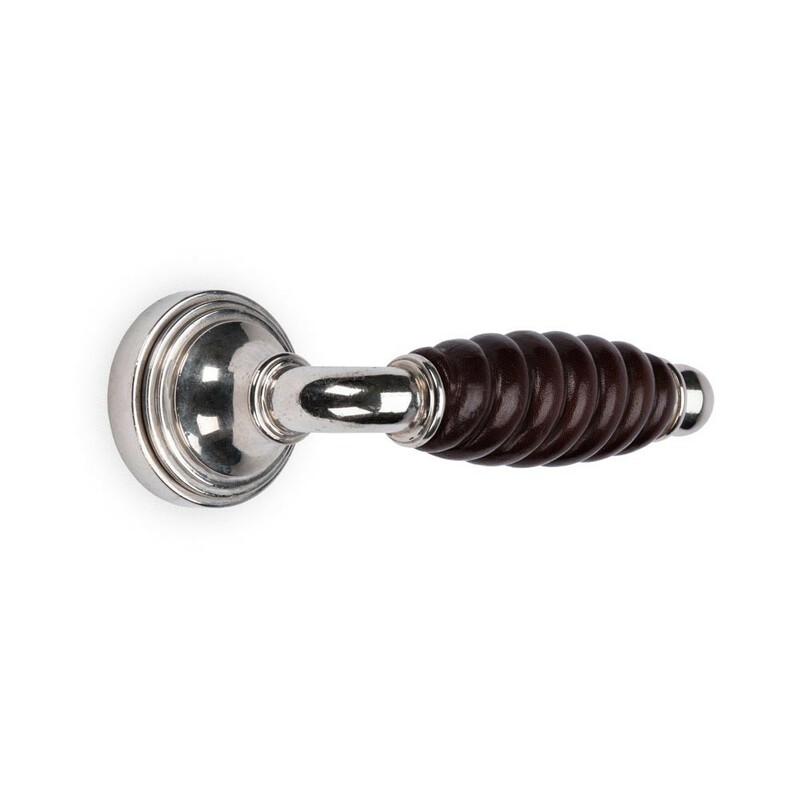 Polished Nickel and Stained Twisted Wood Lever Handle. Available in other finishes or custom finished to order. Shown here also in 2 metals, Antique Brass with Polished Nickel. 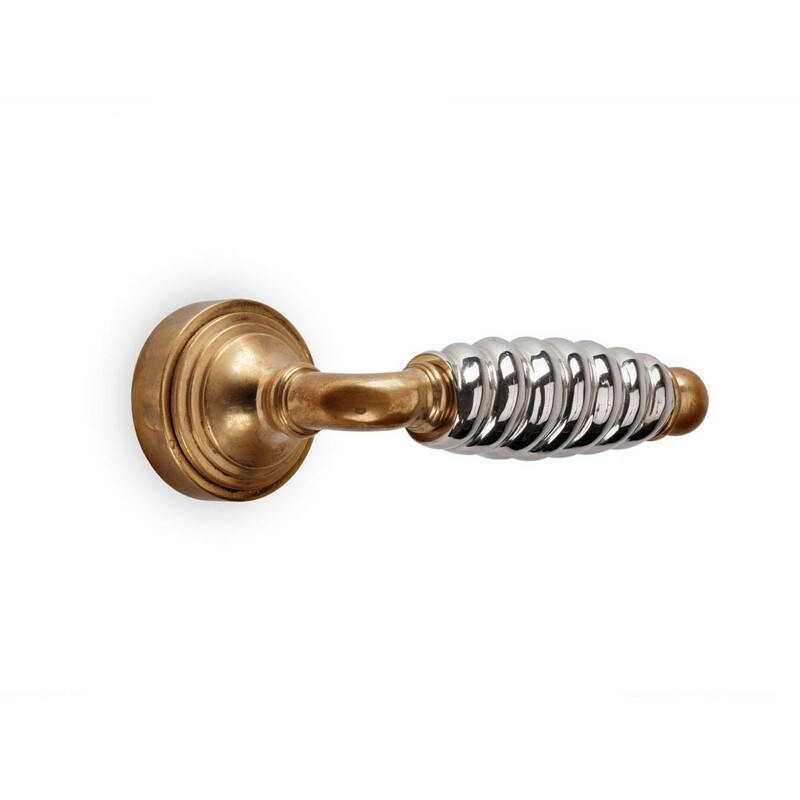 The door lever handle comes with a sprung loaded mechanism.